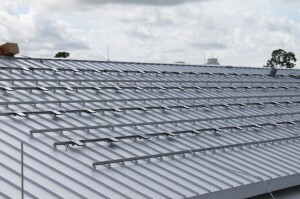 The FGCU Naples Botanical Garden Photovoltaic System installation is progressing well ahead of schedule. Decent weather has allowed this exciting solar installation to progress through the mounting system and microinverter installation in under one week! Solar modules will begin to be installed on Monday, and this 40+ kilowatt solar array should be substantially complete by the end of next week. I can’t say enough about the guys on the roof. 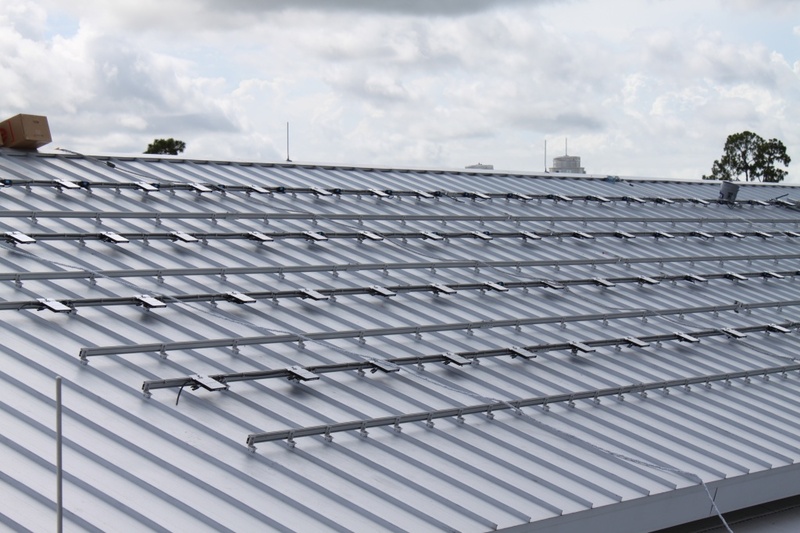 They are working in extremely hot and humid conditions on a very reflective roof, but they want to impress the owner (FGCU), facility operators, and prime contractor (Manhattan-Kraft Construction). Of course, there was lots of behind the scenes planning, design, engineering, plan reviewing, logistics, and material procurement work. 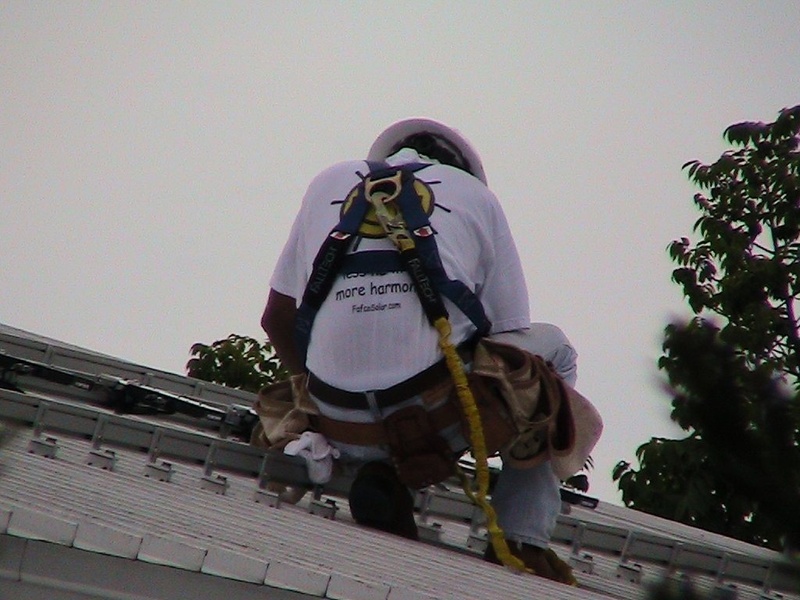 Next Post: Affordable Housing With Solar Energy! My favorite part of this installation is the S-5! 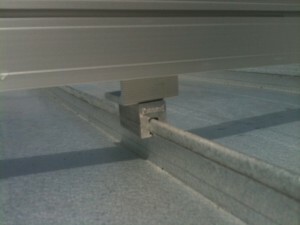 clamps that are used to secure the rails to the roof seams without penetrating the metal roof. With over 500 clamps on the roof, each secured with two set screws, this system is securely attached to the building and able to withstand a design wind speed of 140 mph!